When the iPod Touch and the iPhone launched many years back, the iPhone took off to be the smart phone while the iPod reigned as the top portable media player. A few years in the running, smart phones began to encroach on the iPod’s territory as more and more users preferred the smart phones as their entertainment device of choice. On the other hand, the iPod, though admittedly a very capable device, could not be used comfortably by users to speak with each other. The call quality was not as clear as desired. It failed dismally against the iPhone’s capacity to consolidate the speaker and the microphone. The growing desire of many gadget users to cut down on communication costs gave birth to the need to make the iPod a more able tool for communication. 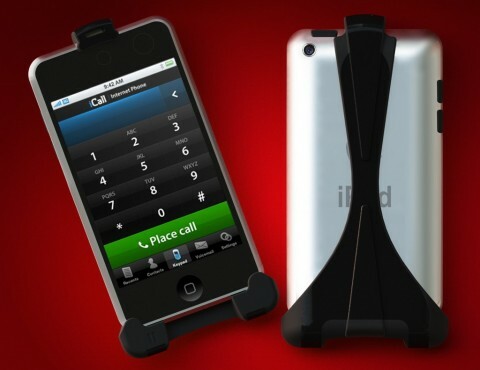 Thus, Dexterity, LLC came up with the MorphCase, a VoIP Adapter for the Apple iPod Touch. This unique case transposes the iPod Touch into a Wi-Fi mobile phone. It erases the need for a headset by utilizing the iPod’s audio jack input with any VoIP app such as Skype while taking advantage of the many Wi-Fi free zones that have sprouted in recent years. The decorative case snaps snuggly onto the iPod Touch with the use of the earphone connector and provides clarity of sound allowing you to communicate with family and friends with as much ease as a budget-friendly mobile phone.